The battery charger features individual charging status for each slot, it can freely charge 1,2,3,4 Ni-MH Ni-CD AA/AAA rechargeable batteries. 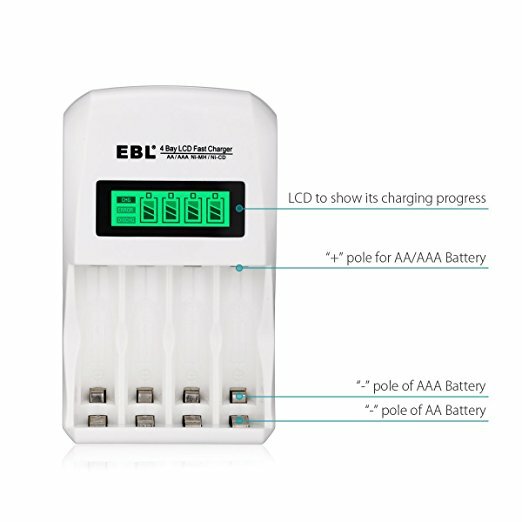 The battery charger has smart LCD to show its charging progress separately, the battery icon stops flashing when battery is fully charged. 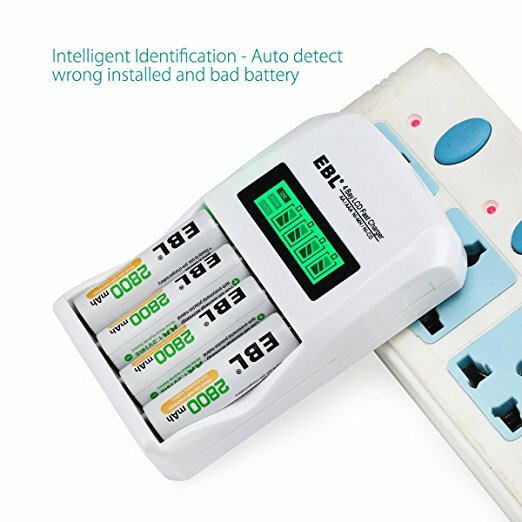 With advanced MCU control and -∆V function, the charger has good protection from over-heat and over-current protection, short-circuit protection, non-rechargeable and defective battery detection. 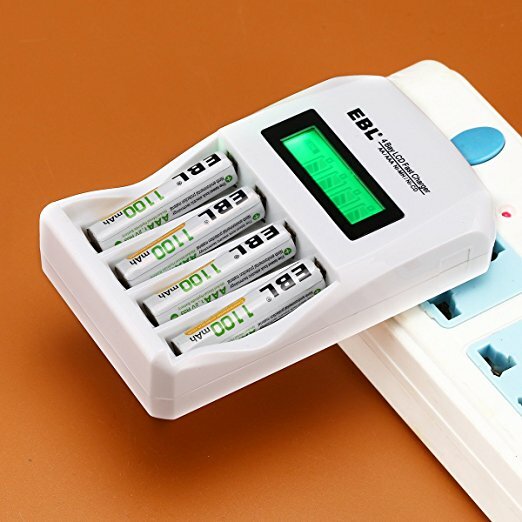 Trickle charging mode will help the battery charger maximize the capacity of battery to fully charged. 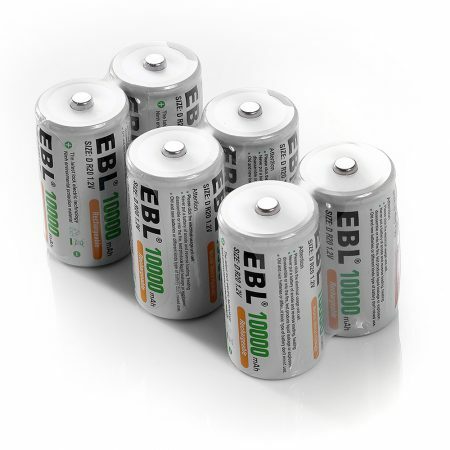 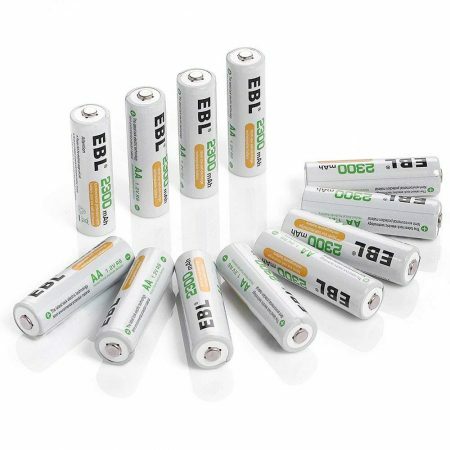 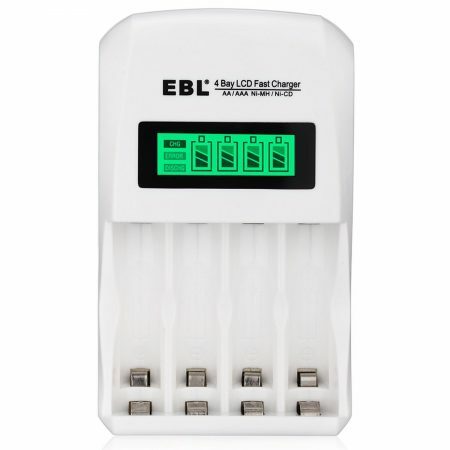 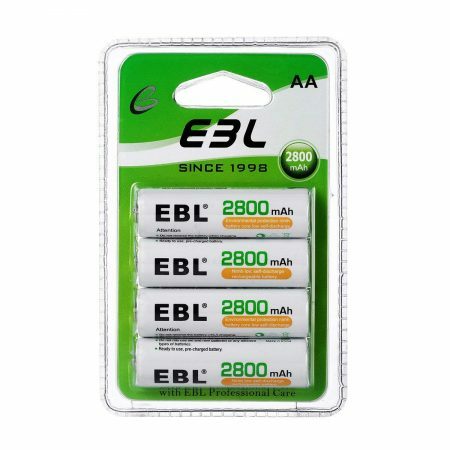 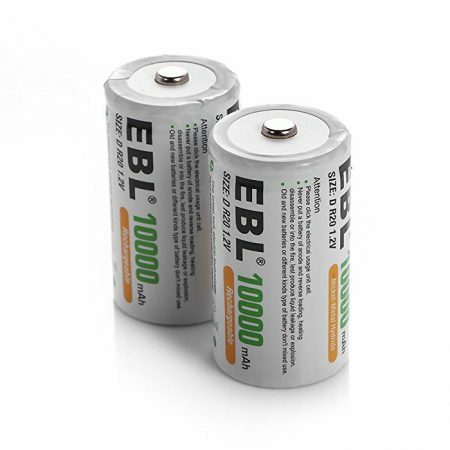 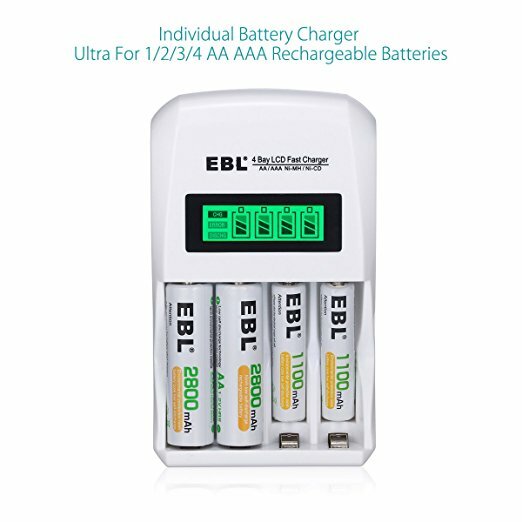 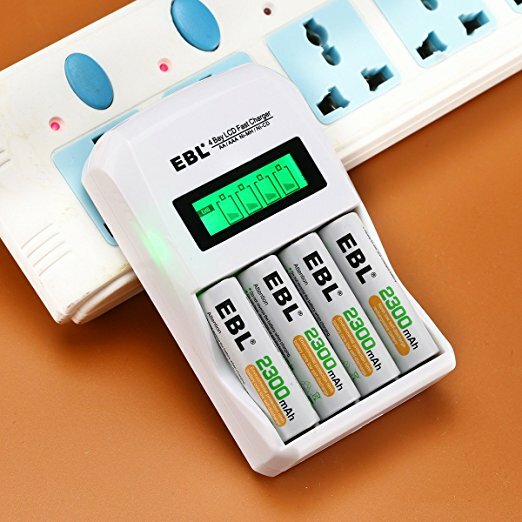 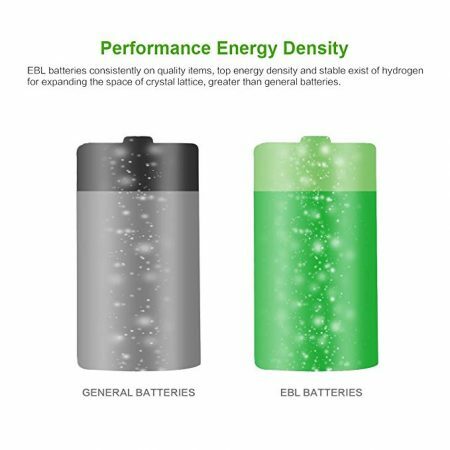 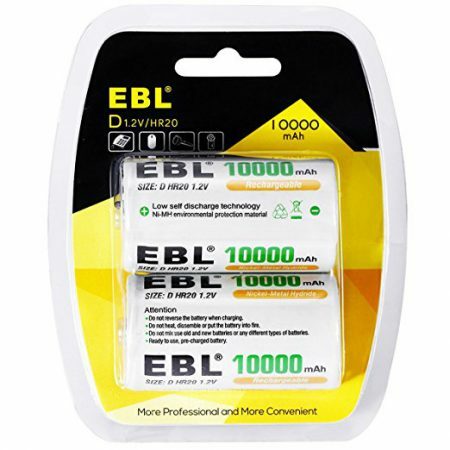 EBL 907 rechargeable battery charger is professional for charging AA, AAA Ni-MH/Ni-CD rechargeable batteries. 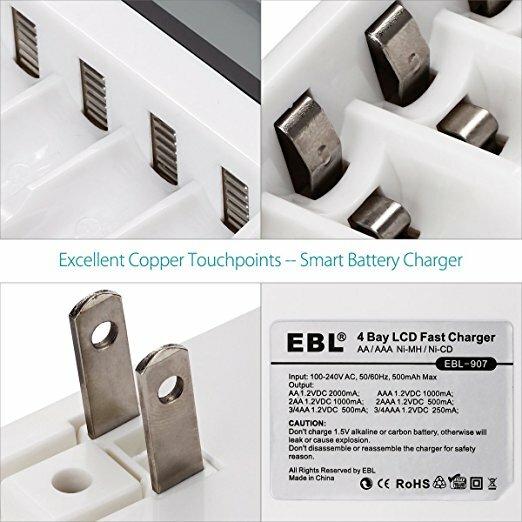 The advanced individual charging function is very helpful to charge batteries in pairs and single.